This is again a commission by florad. 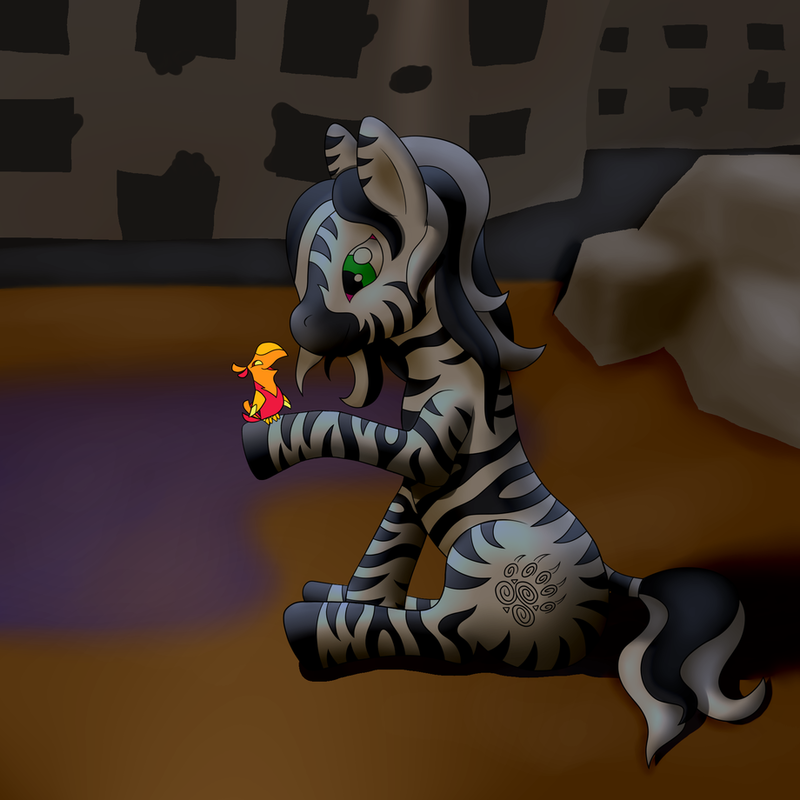 This is his Fallout Equestria PnP character Laini. The little guy on her hoof is her pet phoenix Moto.